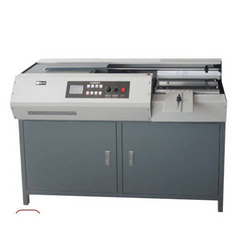 In the Complete range of our Binding Machines, Glue Binding Machine is one of the fully automatic Glue Binding Machine. This Machine is capable to bind the Books of at least 450-500 papers at a time. We are presenting this Easy Operation Perfect / Glue Binding Machine, which is widely demanded, due to its excellent quality performance. We offer these machines in compliance with industrial quality standards. Our machines are highly durable and are available at affordable prices. These machines are extremely easy to operate and hardly require any maintenance for years. We are in compliance with various Perfect / Glue Binding Machine industrial standards and offers features such as enhanced durability and high quality. We have stepped towards unlimited success and the credit goes to our entire team who has spent their time and efforts to make us stand in stiff market place. 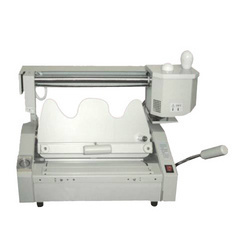 Our Perfect Glue Binding machine has brought is wide acclaim due to its high quality performance. This machine is available in a/4 and a/3 size.